Attiny 2313 V-USB Media Volume Control « Adafruit Industries – Makers, hackers, artists, designers and engineers! 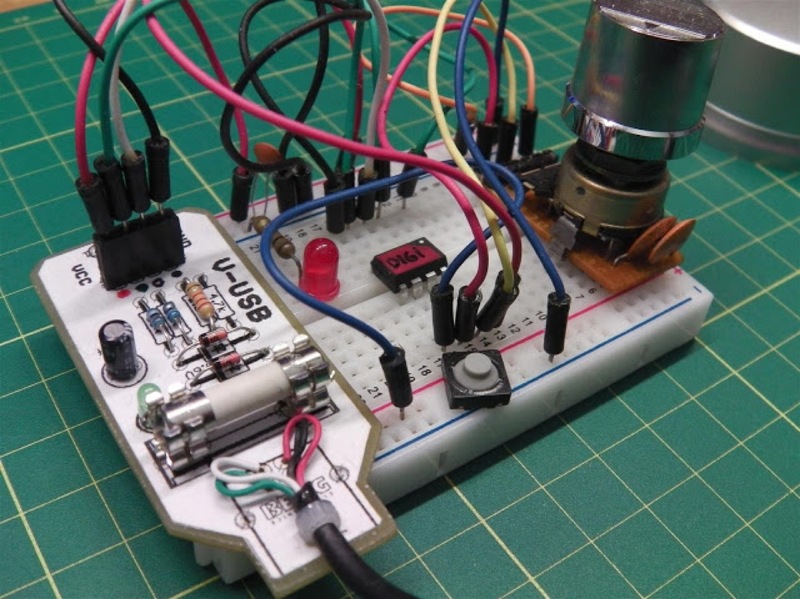 Attiny 2313 V-USB Media Volume Control. My most rewarding projects are the ones which i actually use. I like my audio gear so, this was the perfect companion project! On my desk i have a headphone amplifier for my AKG K702’s headphones, below it i have my self built Onixia integrated amplifier for my bookshelf speakers. I have been thinking about making a global volume control for both devices for quite some time… here is the results of my efforts.